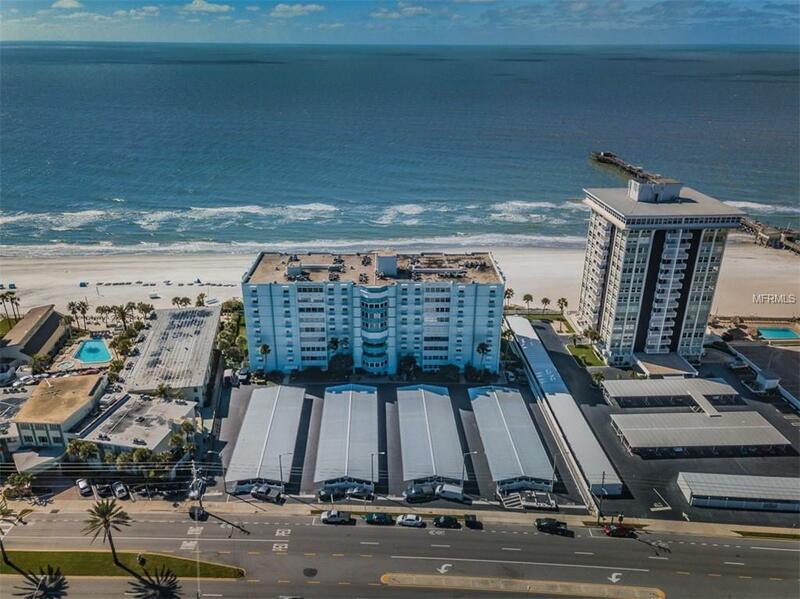 BREATHTAKING PANORAMIC VIEWS OF SANDY BEACHES AND SPARKLING WATERS FROM THIS DIRECT GULF FRONT CONDO IN REDINGTON SHORES! This beautifully remodeled unit has the "WOW" factor from the moment you enter and your eye is drawn to the wall to wall windows with spectacular views of sea and sky. With 2452 square feet, this 3 bedroom, 3 bath + BONUS ROOM feels more like a single family home and offers plenty of room for the entire family as well as great RENTAL INCOME POTENTIAL. A spacious open great room has high ceilings, gorgeous bamboo wood flooring, a projection screen TV with surround sound speakers and one touch light controls. The kitchen has been beautifully updated with solid wood cabinets, granite counter tops, stainless steel appliances, an island with extra storage and seating and built-in breakfast nook. Your master suite features a private Gulf front balcony, large walk-in closet and en suite bath with dual sinks and over sized shower. The second and third bedroom are well sized with ample closet space. The bonus room offers a built-in desk and storage closet. Additional features include; NEW hurricane impact rated windows (2016), (2) reserved covered parking spaces, zoned HVAC, secured building entry, storage closet and MUCH MORE! Tower Isles is ideally situated in the picturesque beach town of Redington Shores with easy access to the mainland and a variety of restaurants and attractions nearby including the Suncoast Seabird Sanctuary and popular John's Pass Boardwalk and Marina. Welcome Home! Pet Restrictions: Pets must be approved through management.